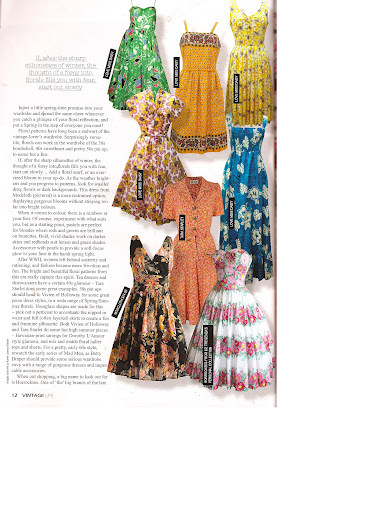 One of my Horrockses dreses in Vintage Life magazine this month! Just wanted to share a little bit of me in this months vintage life magazine! 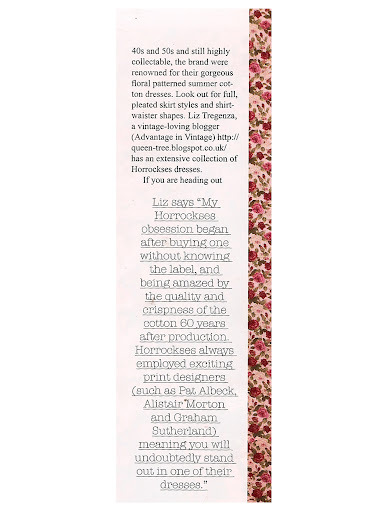 My Horrockses dress is in the bottom right hand corner of the page. This Horrockses was designed by Pat Albeck. 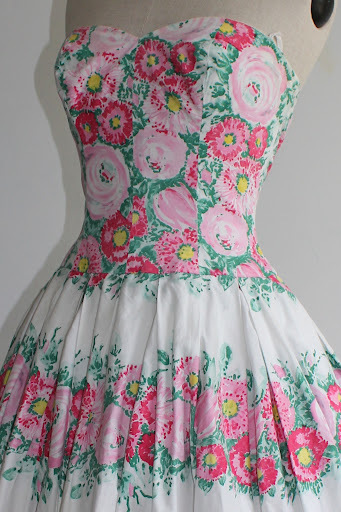 I was wearing this dress when I met Pat last summer, and she confirmed that it was one of her designs. There is also a little quote from me in the mag. It’s a great issue filled with lots of lovely inspirational floral vintage dresses and a great piece about Edith Head which I thoroughly enjoyed too. I love the dress! It's beautiful. So nice to hear of other die hard Horrockses fans 🙂 How lovely to get featured!